TROY, Ala. — Troy held off a late second half rally by the Arkansas State to hand the Red Wolves an 84-79 loss Saturday afternoon at Trojan Arena. After scoring the first bucket of the second half to tie the game, A-State quickly faced its largest deficit of the afternoon at 15 points, 64-49, with less than 10 minutes to play. 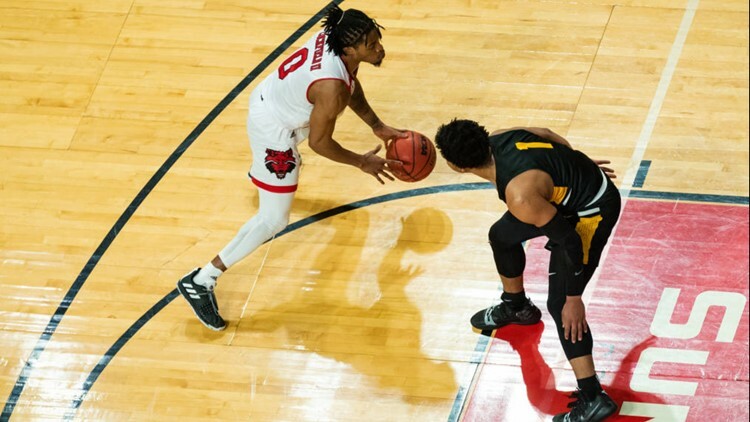 The Red Wolves got the deficit down to five on three different occasions, but the Trojans answered each time with 3-pointers on their ensuing possessions. The Red Wolves didn’t go away quietly as a turnover in the backcourt saw the Red Wolves trail 75-72 with 2:13 to play. Troy buried free throws down the stretch and took the victory. Arkansas State plays five of the final seven league games on the home floor beginning with Thursday’s 7:00 p.m. contest against Texas State on ESPN+. For the latest on A-State men’s basketball, follow the Red Wolves on Twitter @AStateMB, at Facebook.com/AStateMB and on Instagram at ‘AStateMB’.